Initial Reactions to the Panasonic FZ2500 that Showed Up Yesterday. I hadn't really intended to buy an FZ2500 camera but in the end my list of rationalizations made compelling sense (to no one but me) and I decided it would be a profitable addition to my little corral of cameras. In spirit the FZ2500 is very similar to the Sony RX10iii, which I hold in high regard. They are both all-in-one camera packages that have big, one inch sensors and wide ranging lenses. Both are very able 4K video machines and both are highly competent photography tools. On any given review site these two cameras get compared side by side whenever either one is analyzed. Each has its strengths and weaknesses and I figured if I had them both the they would happily complement each other. Right? Aesthetically they are two different animals. The Sony is designed with a more lux attitude in mind. Metal everywhere and a refined physical interface. It's the product whose makers recognized the selling value of good industrial design. It's sleek....for a big, rounded brick of a camera. 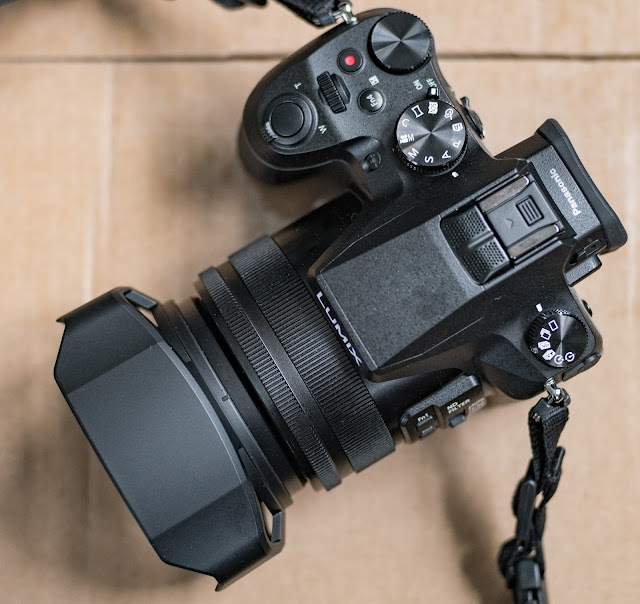 The FZ2500 (from now on, "The Lumix") feels like the designers cut a few corners, spec'd a lot of plastic, borrowed from a 1980's industrial design style, and pretty much scrimped on the stuff that didn't directly effect image quality or basic handling. I'm slightly annoyed at the shiny control knobs on a camera that is otherwise finished in matte. The switches are less than elegant and the overall feel is of a company that values raw performance over finesse. But I'm okay with that because the real reason to buy either camera is to make movies and photographs.